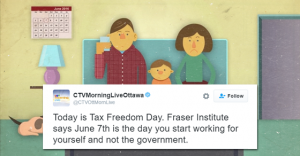 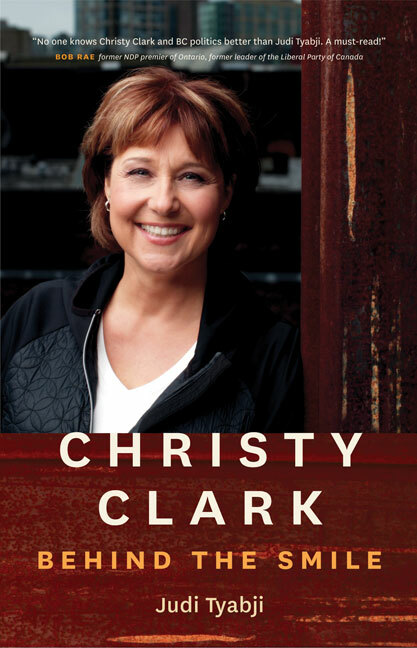 By that standard, how does Christy Clark: Behind the Smile – the new “unauthorized” biography about BC Premier Christy Clark written by a former member of her own party – stack up with Western civilization’s other great works of literature? 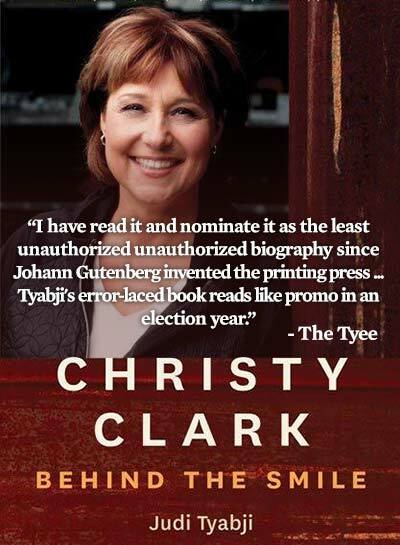 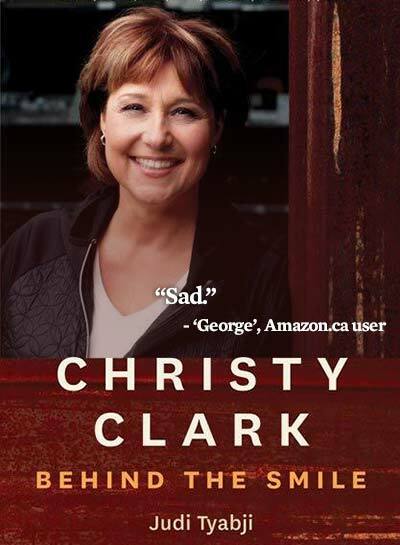 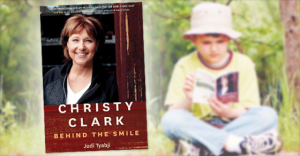 But maybe you’re wondering: what would the cover of Christy Clark: Behind the Smile look like with real quotes from real book reviews? 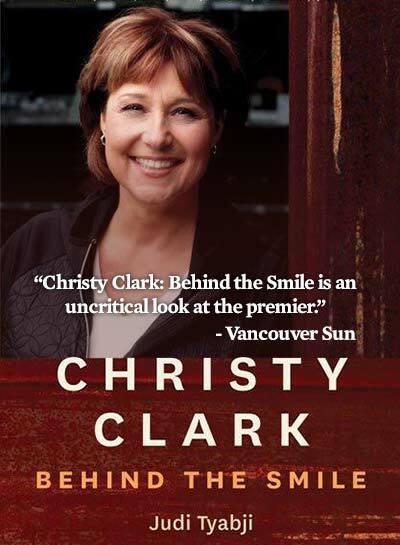 The Vancouver Sun says Christy Clark: Behind the Smile is “a friendly biography of the premier” that is “clearly written” with “pages and pages of photos,” but also adds that the book “is not at all critical” of the premier. 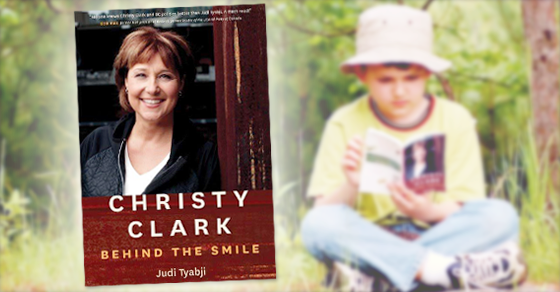 Meanwhile, Maclean’s magazine explores the book’s intriguing back story involving the relationship between Judi Tyabji, the author of Christy Clark: Behind the Smile, and the book’s subject: Christy Clark. 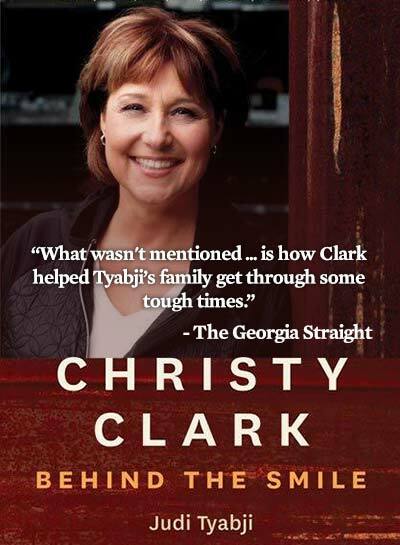 Macleans’ review of Christy Clark: Behind the Smile points out Clark and Tyabji “first met when the two were Young Liberals in the early 1980s,” a friendship that was strengthened after the author and her husband, former BC Liberal leader Gordon Wilson, received a $128,000 grant from Clark’s government, with $67,000 apparently going directly to her biographer.